In a medium bowl, whisk the mayonnaise with 2 tablespoons of the lemon juice, the walnut oil and capers. Season the dressing with salt and pepper. In a small bowl, toss the pear chunks with the remaining 1 teaspoon of lemon juice. 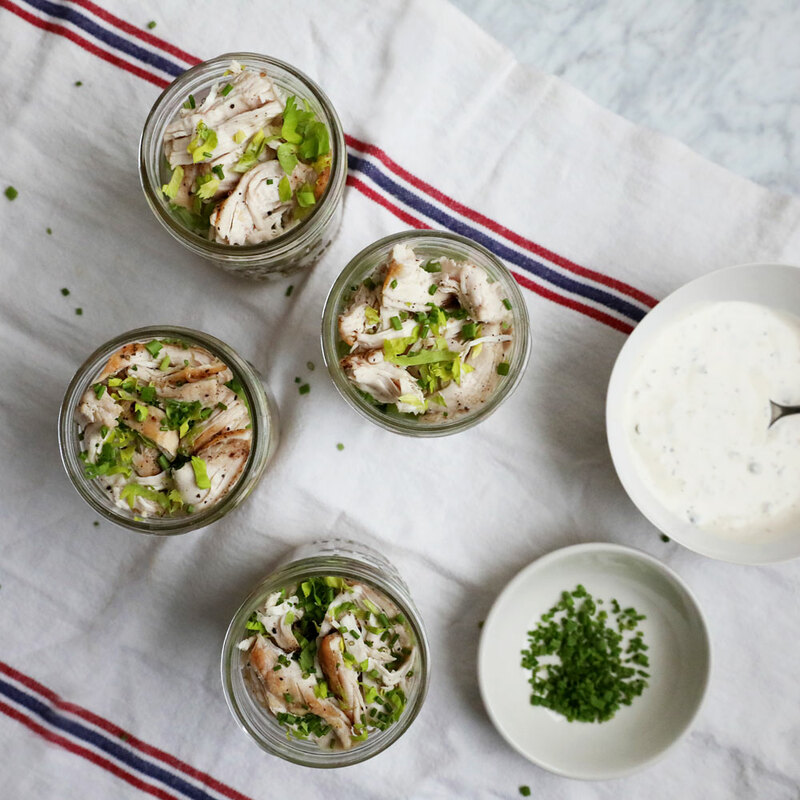 In pint-sized mason jars, layer the turkey, grapes, pear, sliced celery, more turkey, celery leaves and chives. Serve with the dressing. The assembled salads can be refrigerated overnight. The salad dressing can be refrigerated for up to 2 days. Review Body: Light and tasty! The jar makes it perfect to snack on the go. Review Body: Very good and tasty! Really easy to make. Review Body: Great turkey with nice flavor.